Valerie Bothell: Allie Aller is coming back to Wichita! 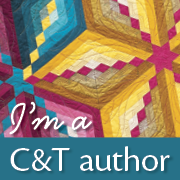 The Victorian Stitchery Retreat is a crazy quilt retreat that I host every year here in Wichita, Kansas. This will be the 7th year that I have hosted the retreat and I just can't believe I have done that many of them! This year the teachers for the retreat are Allie Aller, Judith Baker Montano and Candace Kling. All of them are such a joy and top notch teachers. The dates for this year's retreat are November 7-10, really not too far away but there is still time to plan if you would like to attend! This week I would like to feature the classes that they will be teaching this year. 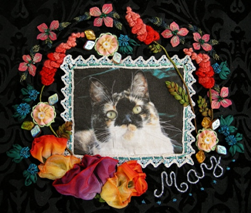 Frame it with Flowers...I just love this sweet picture of her cat! In this class she will be teaching some beautiful three dimensional floral work. 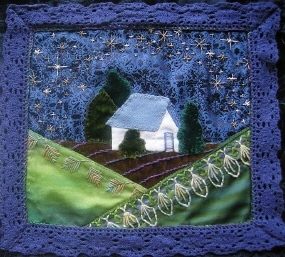 She will be using Angelina fibers, wired ribbon, silk ribbon plus there will be some beadwork mixed in there. 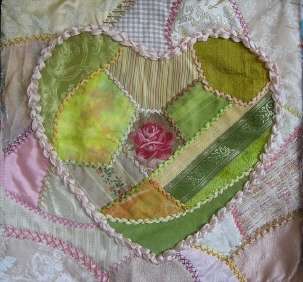 Herringbone Hearts..pink is my favorite color, so of course I like this one! 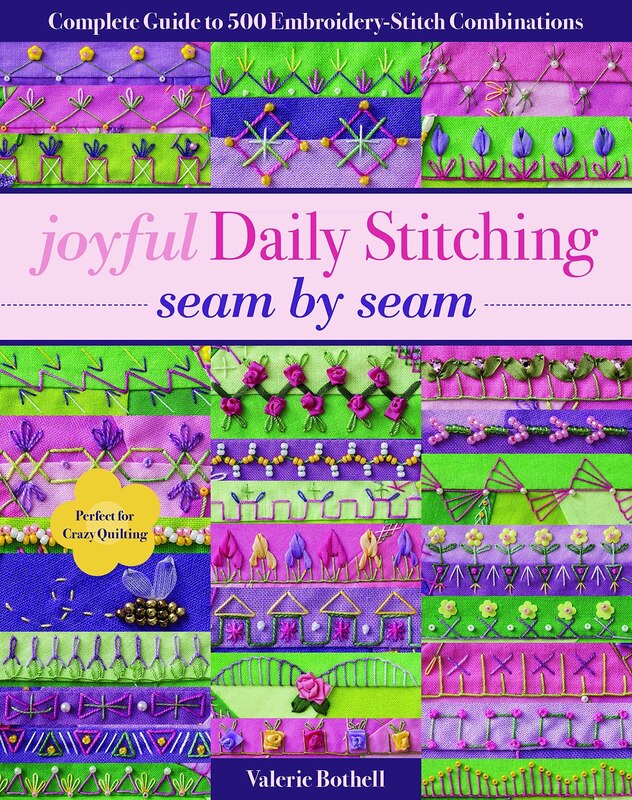 This class will be covering her freezer paper curved crazy quilting that she is known for. Just love it! Wee Farmscape..so sweet and simple! 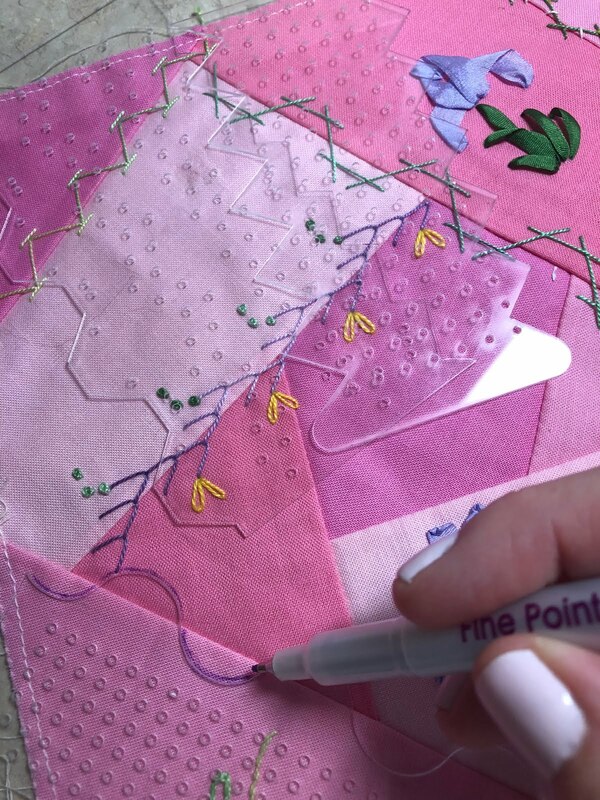 She will be teaching crazy quilt seam treatments using waste canvas, a method developed by Pam Kellogg. 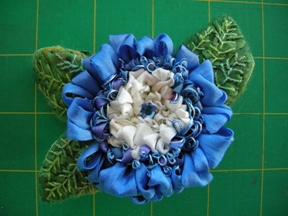 Last but certainly not least, she will be teaching a Punch Needle Flower Pin. This is a 1/2 day class and what a beautiful flower you will have created in that short of time! If you are interested in any of these classes, you may contact me at pinkbunny@valeriebothell.com. Stayed tuned for the the class listings for Judith and Candace over the next several days.